April may be the month of Songkran, but there’s also a lot happening in the name of art too. After all, art sits within the very beating heart of the city of Bangkok and pumps life and new perspectives into what would otherwise be a very dull sight. We’ve put together a list of 10-must-see exhibitions you need to visit in Bangkok this April 2019, because if it’s on our radar, it should definitely be on yours too. From a number of interesting photo exhibitions to intriguing works of art from both Thai and international artists, let’s see how many of these exhibitions in Bangkok you can visit before the month’s end! In this solo exhibition by Orn Thongthai, we are made to consider the very meaning of the term home. Is it a place we live and return to every day? Is it a state of mind? Is it found in the routine we live, or the people we see? Or is it found in what we are most passionate about, what we feel “at home” doing. It’s clear that Orn’s art is his home and this exhibition is a living testament to that. Drawing inspiration from subjects as diverse as medieval icons, Dutch and Flemish Renaissance paintings, folk art and contemporary artists, Hamburg artist Heiko Müller brings with him an eclectic mix of digital and print art, with his preferred media being acrylic and oil on paper and oil on canvas, complemented by pencil drawings. Drenched in a classic spirit with a modern twist, his work has been exhibited in cities such as New York City, Los Angeles, Seattle, Chicago, Paris, Saint Petersburg and Tartu. Definitely worth checking out. In his second solo exhibition, artist Uthis Haemamool brings to light a collection of works he kept in the dark for a very long time. Before, the personal space of his memory was kept in the dark, however, by placing such private memories in a public space, and indeed, shining the light on these objects, places, scenery and bodies, he invites viewers into his world. Enjoy the artist’s paintings at one of the coolest galleries in town, The Jam Factory Gallery. See the latest works of photographer Tetsuya Kusu, consisting of a collection of images taken from a moving automobile during his travels along North America’s West Coast. This fascinating series by the travelling photographer opens us up to how alive we can be. If you’re a Thong Lor cat, you might appreciate this: a chance to view art that explores the delicate nature of both men and women, while simultaneously getting to know local and expat individuals, including models, photographers, actors, makeup artists and local film industry professionals. Sole Mio is an Italian restaurant on Thong Lor 13 that will be playing host to this unique photo and art exhibition for one night only. Organised by London actress Katrina Grey, the exhibition will feature the work of well-known artists. Event starts at 6:30pm and runs past midnight. Tune right into this multidimensional experience that takes viewers on a journey brought to life through 1500 works of art from 16 of the world’s most famous European modernist painters. Projected in state-of-the-art fashion and accompanied by surround sound, 20 of the world’s finest museums worked tirelessly to make ‘Visions Alive’ a reality, an exhibition that has already been greatly received in Berlin. Witness this one-of-a-kind group exhibition featuring works by artists from different countries in Southeast Asia. With the aim of showcasing the new and flourishing artistic generation of Southeast Asian countries, the exhibition presents a distinct look into the creations of nine artists, including Ruben Pang, Cai Qing, Kristoffer Ardeña, Manok Ventura, H.H Lim, Zulkifli Lee, Pannaphan Yodmanee, Phattharakon Singthong, Sornchai Phongsa. In 137 Pillars Suites and Residences Bangkok’s third edition of its rotating art showcase, the luxury boutique hotel invites Thai national artist Panya Vijinthanasarn to take centre stage. 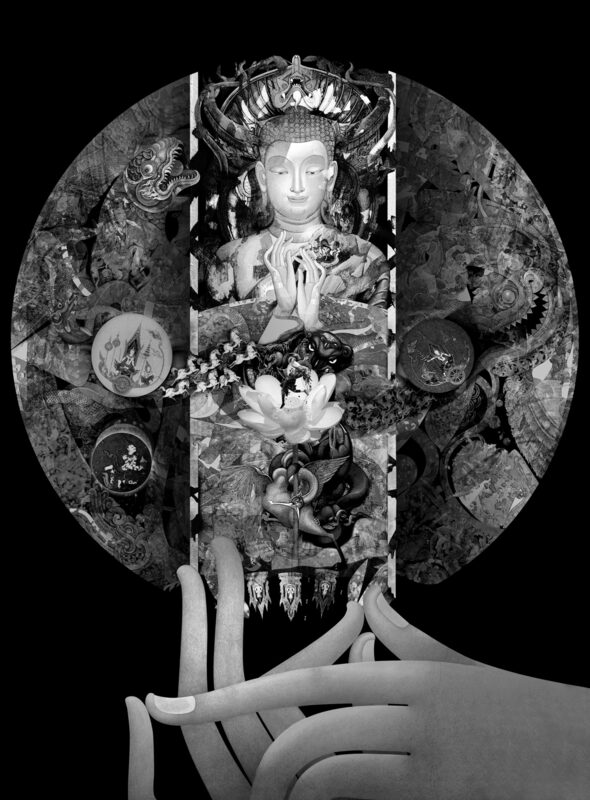 The artist will be unveiling his beautiful collection titled ‘Resplendency & Obscurity’ with new works that interweave mixed media on paper with colours to portray the unique past of religions and civilisations, most notably, Thailand’s. Through the paintings and woodcut creations of two artists, Jirayu Kiatrungwilaikul and Itti Petamanang, the viewer is made to ponder the very essence of value itself, and whether the society we live in and the days that consume us are adding any sort of quantifiable value. From past social values of society’s that inflicted cruelty to today’s present-day order of things, the story of our value systems as humans is presented most vividly. Thai-Japanese photographer Shinya Matsunaga has worked to capture what we as viewers may deem to be natural habitats but are, in actual fact, illusions created by artificial landscapes. What unravels is an exhibition that pieces together fragments of distorted realities that ultimately lead us to question the nature of reality itself.